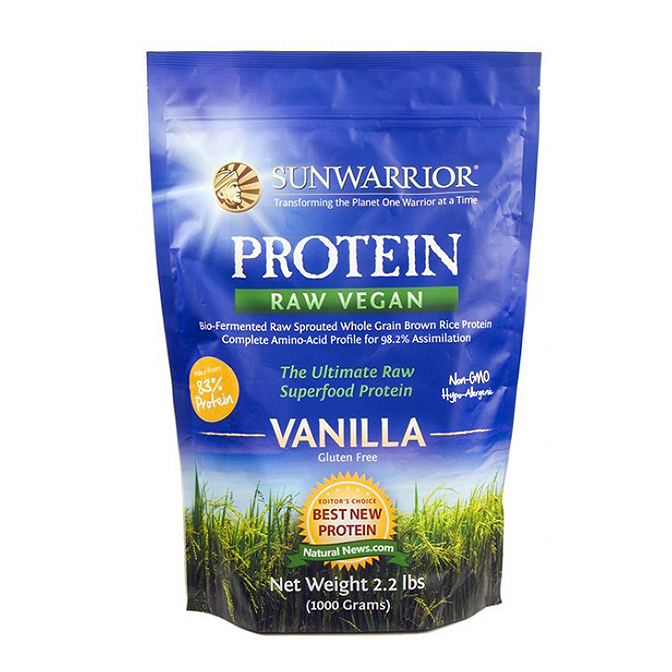 Rice Protein brought to you by Sunwarrior, is a unique and clean type of protein derived from plants and essential for the maintenance of your healthy wellbeing, immunity, regulating your body’s natural hormone profile and function, aiding fat loss and the build of lean muscle mass. This vegan friendly exceptional product is like no other as it is free of sugar, dairy, soy, gluten, chemicals and even hormones. Containing a natural source of protein, you can now replenish your muscles and provide them with the fuel they need for a high performance. Ideal for vegans. Can be used as a pre and post workout supplement. Take 1 serving with 300ml – 500ml of water or milk. Best consumed post workout but can also be take pre workout, before bed and when protein source is needed.